As spring term heats up on campuses nationwide, many students have a limited amount of time left to make a lasting impression on their campuses before summer break or graduation. 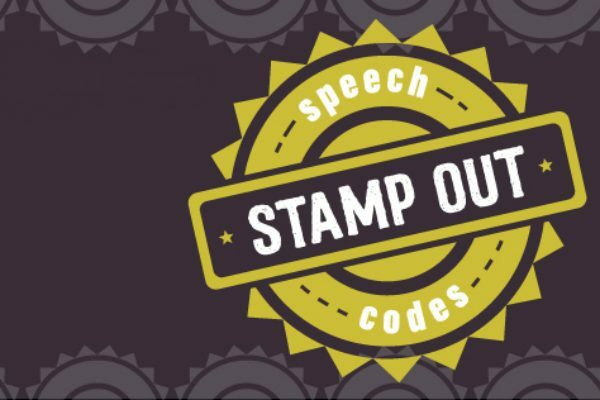 If you are looking to make a splash on campus, consider participating in FIRE’s Spring 2019 campus activism toolkit: Stamp Out Speech Codes. This toolkit offers guidance and sample activities students can organize to raise awareness of and fight against campus speech codes. When schools maintain speech codes or don’t live up to their free speech promises (such as those advertised in promotional materials and illustrated in student conduct policies), they hurt students’ ability to share and challenge ideas on campus. By educating other students, faculty, and administrators about the impacts of these restrictions, students can help to eliminate those policies. From writing an op-ed and tabling, to petitioning the student government and holding a free speech zone “stakeout,” this toolkit contains all the inspiration you need to spark change on campus. Students who would like to create activities beyond the suggested ones in the toolkit are also encouraged to do so. The FIRE Student Network staff is available to help students brainstorm and come up with a plan of action for organizing an activity. Just for downloading and signing up to take part in the toolkit, students will receive a free pair of FIRE socks. And the prizes don’t stop there. Students who follow through on the toolkit and report their results to FIRE will have a chance to win a multitude of prizes including grants up to $1000 for future activism initiatives. The campaign will end at 11:59 p.m. (ET) on May 30, 2019, and winners will be announced on June 6, 2019. If you have any questions regarding the toolkit or organizing an activity, please email students@thefire.org. Download and sign up for the toolkit today! 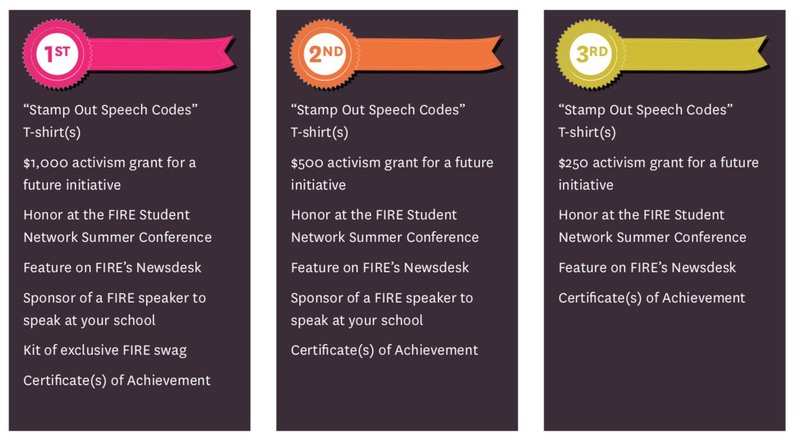 Become a member of the FIRE Student Network to get updates on the latest news impacting your campus, info about scholarship opportunities, conferences, contests, toolkits like these, and more. Join now!